Richard Mourdock made it official this morning and kicked-off his campaign for Senate against Senator Richard Lugar. You can read the entire speech here but we’ll give you some of the highlights. Second, Mourdock is using his normal historical references in this race. The speech noted that the announcement was planned for George Washington’s Birthday for a reason. Washington could have served as President for life but walked away because he knew it was time. This is a theme that we should all get used to hearing for the next year and a half since it appears to be Mourdock’s campaign slogan. Third, Mourdock said that members of the Republican State Committee asked him to consider running as early as last summer. We are told that several members of State Committee were at the announcement with 6th District Chair Ted Ogle introducing Mourdock. Mourdock has released a list of 68 County Chairs who have endorsed his candidacy. The only thing we know for sure right now is that it is going to be a LONG 15 months. With Valentine’s Day just around the corner, it is hard not to see the similarities between Gov. 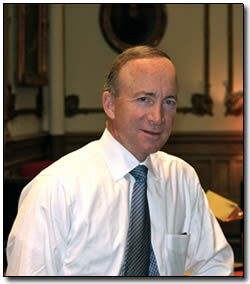 Mitch Daniels coyness on the Presidential race and a rollercoaster, high school relationship. But we’re not going to give him too hard a time about it because we understand. The Governor wants to focus on the legislative session but has to do a few things to make sure the national pundits don’t move on to other prospective candidates. He doesn’t want to become a flavor of the week. His advisors are doing a good job with the balancing act, moving from week to week with new ways to fire up or cool down the rampant speculation while keeping the focus on one question: What will Mitch Daniels decide to do? Next week, we’re willing to bet there will be more buzz as a result of the CPAC speech and the Governor’s team will go back to the “focused on Indiana and the legislative session” talking points which flow perfectly with the responsible Governor we’re used to seeing. But don’t despair, Mitchies, and keep one thing in mind: There is way too much effort being put into keeping everyone on the edge of their seats for the Governor to check “No” just yet. We were able to track down a copy of Jim Wallace’s letter to Party leaders announcing his intention explore running for Governor. Enjoy! As a leader of the Indiana Republican Party, I know you’re aware of the great changes in the political landscape the past several years. With the election of a GOP majority in Congress and both houses of the State Legislature, the next election will be critical in carrying through the fiscal conservatism that swept the new majorities into office. 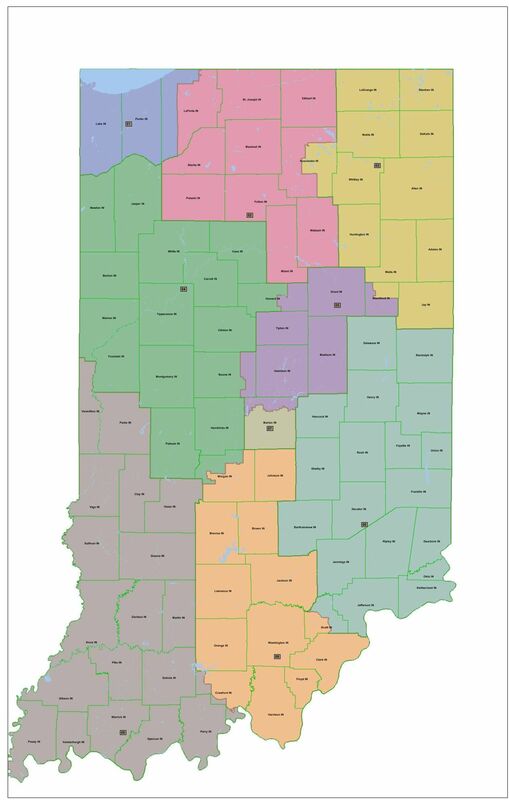 Essential to this task is electing a governor that understands the work and business challenges in Indiana, and can lead the effort to build Indiana’s economy and quality of life. Understanding the challenges and requirements is not enough—possessing the track record of successful business and executive leadership is fundamental to delivering on the promise for Indiana citizens. Such experience is essential to being an effective ambassador for Indiana workers and businesses, and bringing high-quality, high-paying jobs to Hoosier families. I am that leader. From attending West Point and flying combat helicopters in the Army to graduating from Harvard Business School and working with companies around the country to create jobs, my background has trained me for the challenges of leading Indiana in the next decade. Closer to home, my experiences as head of strategy at Anthem/Wellpoint, chief of staff of Conseco Health, and founding and building my own company, TWG Capital, from zero to $350 million in assets in ten years, uniquely position me for the economic challenges that lay ahead. Most importantly, having worked with former mayor Steve Goldsmith and Governor Mitch Daniels on the Indianapolis SELTIC Commission, as well as having served on both the Fishers and Hamilton County Councils, give me the valuable perspective of being a true citizen-servant, as originally conceived by our Founding Fathers and embodied in our own Legislature. 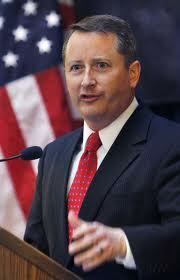 With that in mind, I am exploring the opportunity to be your Republican nominee for governor in 2012. With the support of a number of business and community leaders, I am embarking on a series of meetings to understand exactly what Indiana families, businesses, and communities need in the coming years, and how I might be uniquely suited to help. I will be contacting you in the next few weeks to schedule a time to meet and get your perspective, and I look forward to hearing your feedback. Thank you for your dedication and service to Indiana and the Republican Party. It has been a rough couple of days for Senator Richard Lugar. 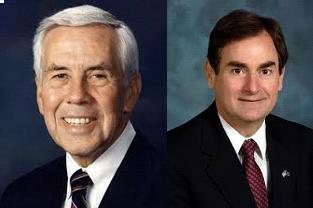 An article from Politico that came out yesterday indicates that State Treasurer Richard Mourdock intends to challenge Senator Lugar in the 2012 primary. We told you Mourdock was getting organized and we recently heard he was making calls to County Party Chairmen around the state. Yesterday’s article indicated he was taking meetings in D.C. as well. Overall, yesterday was probably not a great day for Indiana’s Senior Senator. Today, the Indiana Democrats decided to jump in the fun and attack Lugar on his vote to overturn Obamacare. The crossroads of America has officially become the crossroads of the GOP. Yesterday, we watched as U.S. Sen. Richard Lugar, long respected for his moderate views and votes, sided with right-wing Republicans in a party-line drive to overturn President Obama’s unprecedented health care package, which will deliver affordable coverage, cheaper prescription drugs and small business tax breaks to almost one million Hoosiers. This is the same senior Senator who recently stood with President Obama to support a nuclear weapons treaty with Russia and access to citizenship for young immigrants who pledge to their allegiance to this country through education or military service. Today, with Tea Party activists recruiting a candidate to challenge him, Lugar has been forced to the right – away from the values we cherish as a state of moderate, logical thinkers. Washington Post political analyst Chris Cillizza said this morning that Lugar is rapidly emerging as the top Tea Party target next year. Taking him down in a primary would give their patchwork movement both credibility and momentum. There’s only one message we can derive from this assault on a venerable public servant: There’s no room for independents or moderates in the new Republican Party. Hoosiers have long believed that a political system marked by compromise and rational thinking achieves the best results. That’s why the state has embraced Lugar’s brand – alongside Democrats like Evan Bayh and Frank O’Bannon – for decades. The growing Republican rift gives us an opportunity to showcase what Indiana Democrats have always believed: We are fiscally conservative, moderate on social issues and wholly committed to policies that improve education and create jobs. For the sake of our state, I hope Richard Lugar sticks to the principles that have won him so many elections – and a place in the hearts of those in the heartland. Indiana deserves leadership that reflects hard-working Hoosier values, not pandering to a group of fringe activists who are angry at America. Our party has always fought for those Hoosier values, and we will continue to do so – united in our efforts – as we work hard this year and next year to elect Democrats across Indiana. Thank you for your commitment to this state, our values and the Democratic Party. 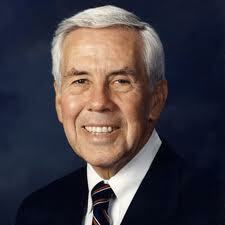 We can’t say we are all that surprised that the Democrats have pounced on this opportunity to go after Senator Lugar. We hope this will remind some of those Republicans who attack Senator Lugar with such zeal that there is an actual opposition Party and the Senator who voted against Obamacare is not a member of it.